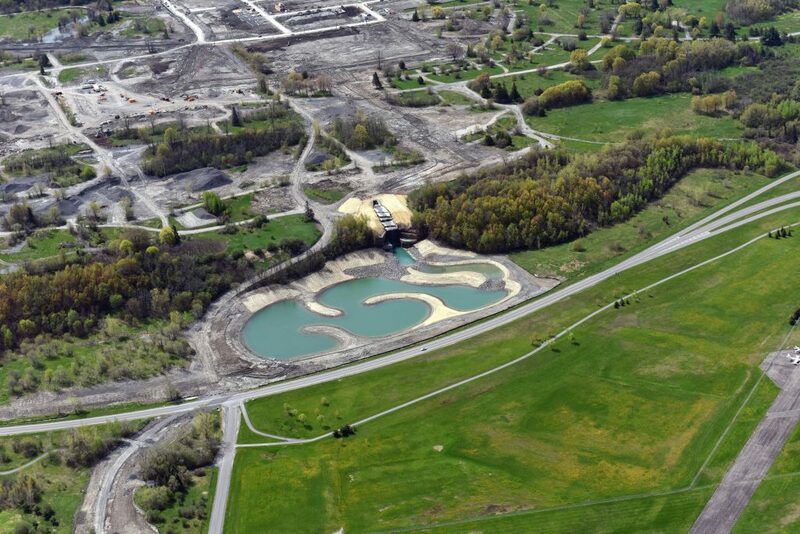 The Rockliffe Lands, the former site of the Canadian Forces Base Rockliffe, are being transformed by Canada Lands Company Limited (CLC) into the design-forward Wateridge Village Project. Ottawa, Ontario. DST is part of the Core Design Team comprised of a range of professional consultants and technical experts that are advising the CLC on design plans for the Wateridge Village Community development project. 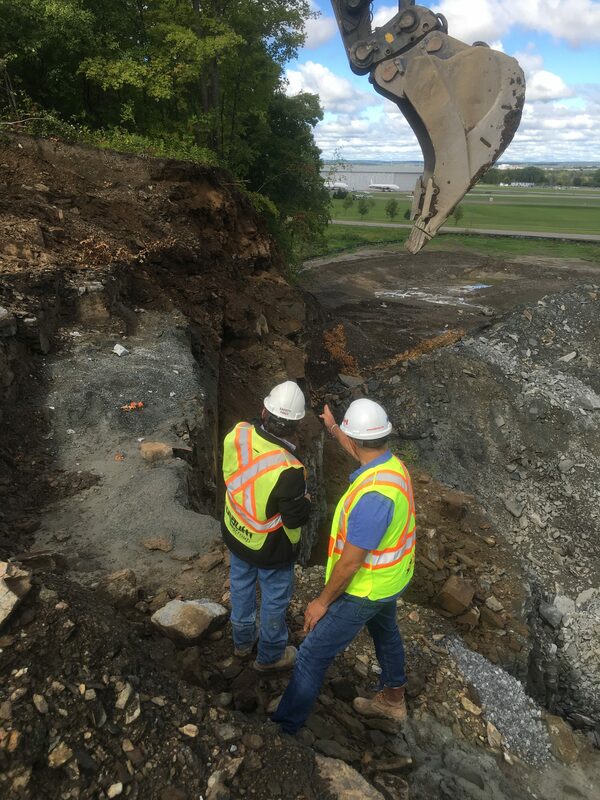 We are one part of an exceptional team providing innovative geotechnical and environmental engineering solutions to one of Ottawa's premier projects. DST is responsible for providing Environmental-Geotechnical, Historical Site Assessment, and Remediation Consulting Services. 2017 CEO Award Winning Project: Natural Waterfall as a Green Solution to Stormwater Conveyance. Building a natural waterfall into the bedrock escarpment was proposed as part of the stormwater conveyance system for the new community. The design approach for this project was rooted in a commitment to promoting innovative eco-features and environmentally friendly management practices. It needed to meet the contemporary needs of a modern, 'livable' city, while maintaining the character of the natural environment. The waterfall concept combined robust engineered features with a design that utilized the natural drainage features of the ridge. Once completed, the waterfall would be a defining feature of the new community, complimenting Ottawa's natural beauty. Carving the natural u-shaped, 20m by 10m, waterfall configuration out of the bedrock required DST to apply advanced drilling and blasting techniques, skillful execution, and expert project management. With an emphasis on safety and quality of design, DST's blast engineering team developed a blast design plan that met contract specifications, maximized production, and minimized social and environmental impacts. The bedrock was carefully extracted with surgical precision, leaving a flawless rock face for the water to cascade over. Start to finish, this project epitomized a collective effort. Understanding the importance and overall benefit of working across traditional boundaries, a multi-disciplinary approach marrying environmental, geotechnical, and blast engineering, allowed DST to be innovative. The design approach was collectively developed by geotechnical and environmental engineers in close consultation with professional geologists and biologists. The outcome was an effective solution, skillfully executed. A way to handle stormwater conveyance that is effective, visually appealing, and less intrusive on the surrounding natural landscape. Water will cascade off the falls, flowing through to the river leaving the community protected from flooding.